BOLLINGER B1: PLUG IN & WORK OR PLAY! The B1 is a do-everything, go-anywhere SUT that just happens to be fully electric. 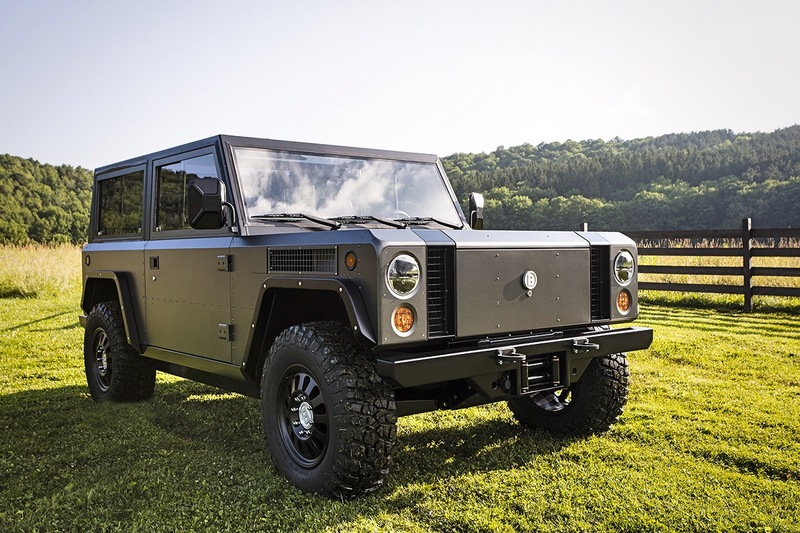 Bollinger Motors’ battery-powered B1 sport utility truck is one 4×4 to be reckoned with. With extreme power and a heavy load capacity, it won’t take long for heads to turn once this off-road vehicle hits the mainstream market. 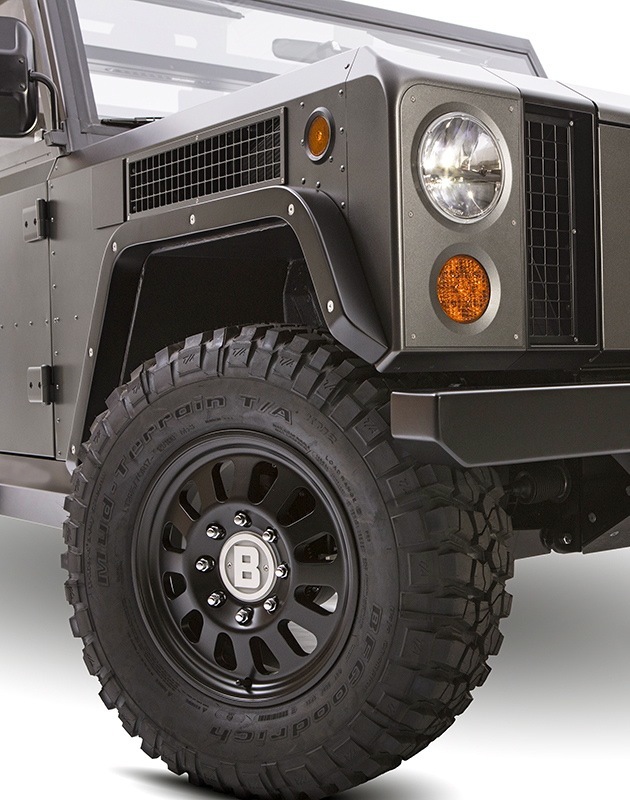 The Bollinger B1 is ready to plug-in & work or play! 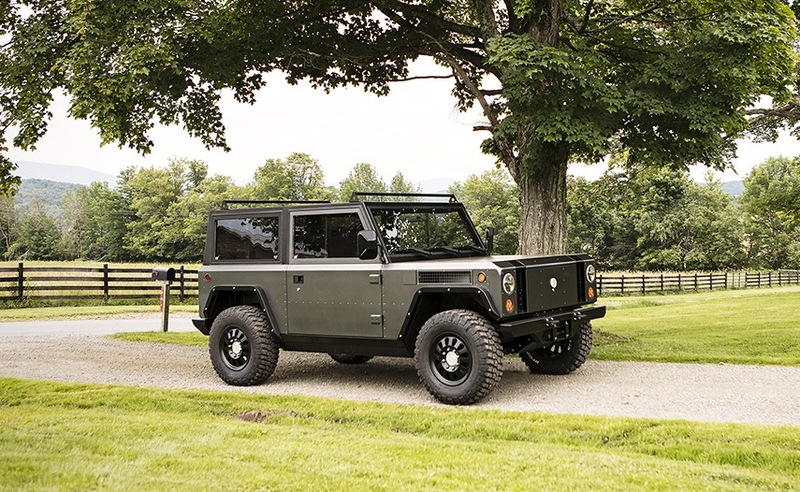 Hobart, New York-based Bollinger is currently accepting B1 reservations, and has started taking $1,000 deposits for down payments although the vehicle is not expected to be ready for delivery until 2019. The B1 boasts 360 horsepower and 472 pound-feet torque and a 105-inch wheelbase aluminum chassis. Rather than an SUV, Bollinger has chosen to call its B1 what it truly is, a sport utility truck (SUT). It has traditional truck features, including plenty of space to haul and plenty of horsepower backing it up. 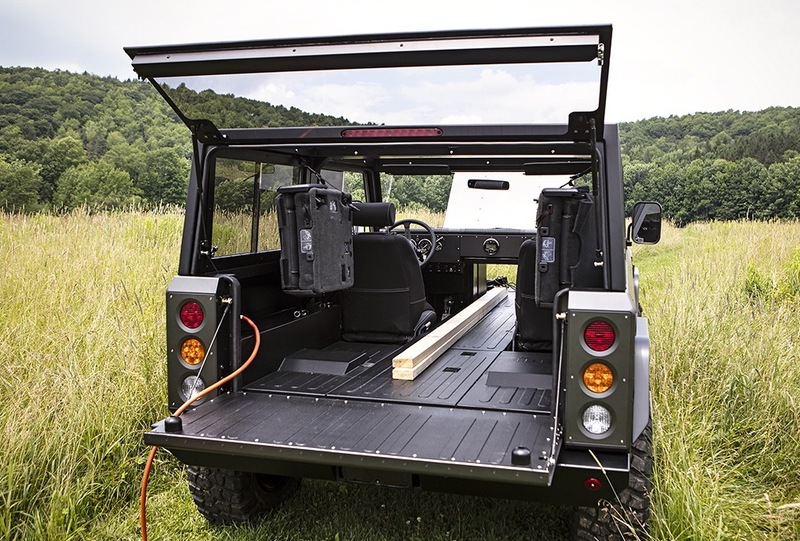 While shorter than a standard Jeep, it offers a 14-cubic foot storage trunk and can carry up to 24 2x4s in the pass-thru or 72 sheets of half-inch plywood in the rear cargo area. The B1 is 12 feet long from front to back lift-gates with the gates closed and will fit four passengers for a comfortable ride. Best of all, depending on the charge, the B1 has the capability to run up to 200 miles before the next full charge. This sport utility truck will be a dream come true for many as it can stand up to the rugged wilderness with 15.5 inches ground clearance but will also reach road speeds up to 60 mph in under 5 seconds. It’s rated at 6,000 pounds payload and tow-capacity. While most will never have a need for extreme speed, the B1 has a top speed of 127 mph! For safety, the passenger area has a steel safety area that Bollinger refers to as a safety cage. This will be welcome once the vehicle exits the highway and enters the rough terrain for a little fun in the mud or on rugged off-road trails in the woods. The passenger area also offers comfortable seating and great legroom. Bollinger Motors got their start in 2014 by founder Robert Bollinger. He dreamed of producing an EV that was not only sleek and driver friendly, but he also wanted one that would be rugged and versatile. Unlike others with similar dreams, Bollinger moved forward to make dreams a reality. A former farmer, Bollinger said he hated driving a pickup truck and getting stuck in the snow. He also said, “Driving around in a pickup all day, you’re too big for everything.” He wanted to produce a vehicle that that was electric, but he wanted to create one that was tough and could withstand the roughest roads and extreme outings. Enter the B1. 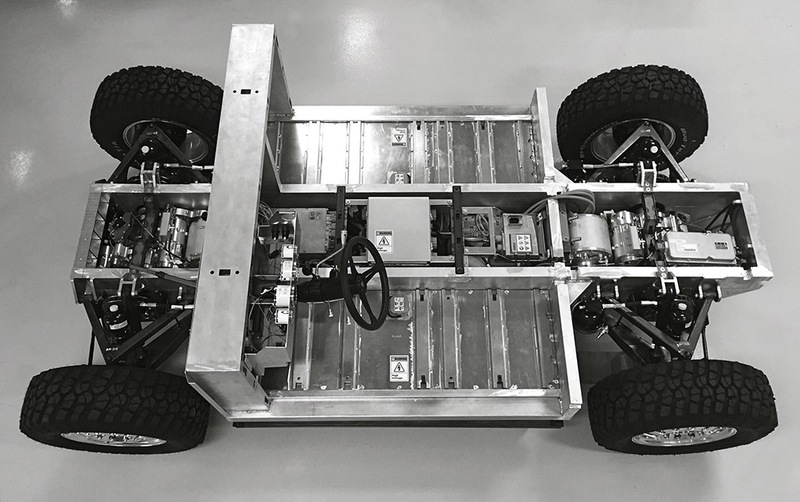 Working with a team of engineers with automobile industry experience, Bollinger, who has an Industrial Design degree from Carnegie Mellon University, worked tedious hours to come up with a prototype of the B1 that they plan to bring to production within the next year. All B1 design, engineering and development work was executed in-house. 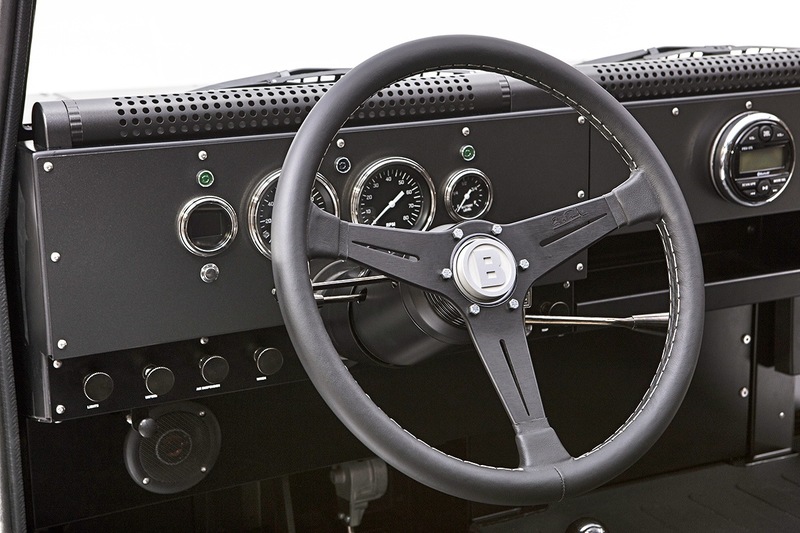 The Bollinger B1 is a hands-on vehicle with manual windows instead of power windows and swivel-style air conditioning vents that driver or passengers can manually turn around to prevent air from blowing directly on them. It does not incessantly alert the driver to state of battery charge as other EVs do. For an electric vehicle, the B1 is fairly low-tech although you will find numerous USB ports and places for your phone charger or to plug in electric-powered devices. The B1 also goes from a full cab to a fun convertible cab thanks to an easy to remove top. If Bollinger can produce this off-roader the way they want to, this will be one of the most impressive Sport Utility Trucks available. It’s sure to impress anyone who wants to live a greener lifestyle but also enjoys rugged outdoor adventure.